Global standard default values are specified in the advanced settings. In simple mode, the path to the database server including the user and the associated password can be specified. You may use the service user for this purpose. By configuring the SMTP server you define all settings for emails, which the server should send, eg via the notification system. At the final save, the connection is directly tested for functionality. 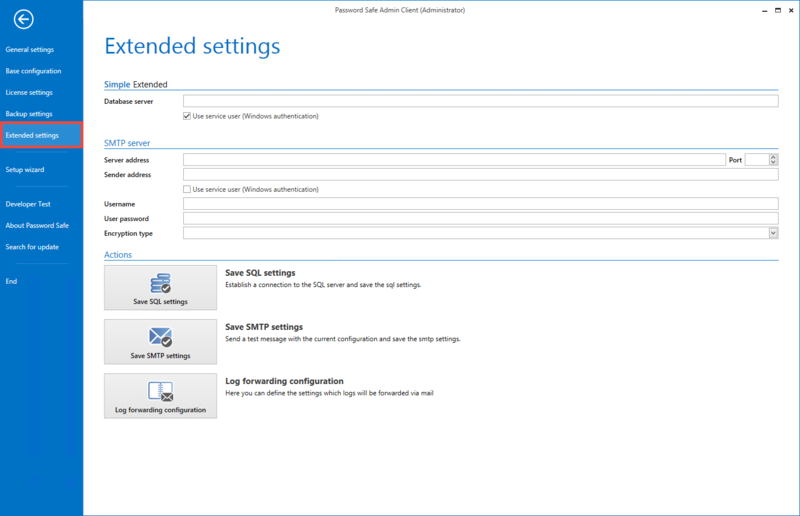 The “Save SMTP settings” button becomes active only after a change has been made.